Discussion in 'Gran Turismo Sport' started by Tou2istTrophy, Nov 30, 2018. To improve the racing experience in Gran Turismo Sport, we will soon introduce a series of changes to the Online Races specification in Sport mode. The following is a list of changes planned. 1. Matchmaking will now be separated into five regions. To allow for a better online racing experience for players who are geographically located in very distant places, we will be changing the matchmaking regions of the Sport mode from the current three regions (Europe/Middle East/Africa, North/Central/South Americas, and Asia/Oceania) to five. 2. You can now join the same race multiple times in each round. You can now join the same race multiple times in each round of the "FIA-certified Gran Turismo Championships." When joining the same race more than one time per round, players will receive points only for the race where they obtained the highest results. These changes will be tested in the Daily Races beginning Wednesday, December 5, and are planned to be fully implemented from the start of the Exhibition Series Season 4 scheduled for Wednesday, December 19. KinLM, Dogwolf77, ProjectF and 8 others like this. Learned about this at Monaco. As long as they don't split the new 5 regions equally when it comes to inviting players to the 2019 Regional Finals, I see no issues. ...and lets face it, you'd have to be really silly to split EMEA and Oceania equally. mullercj, Cuber Tom, Tou2istTrophy and 1 other person like this. 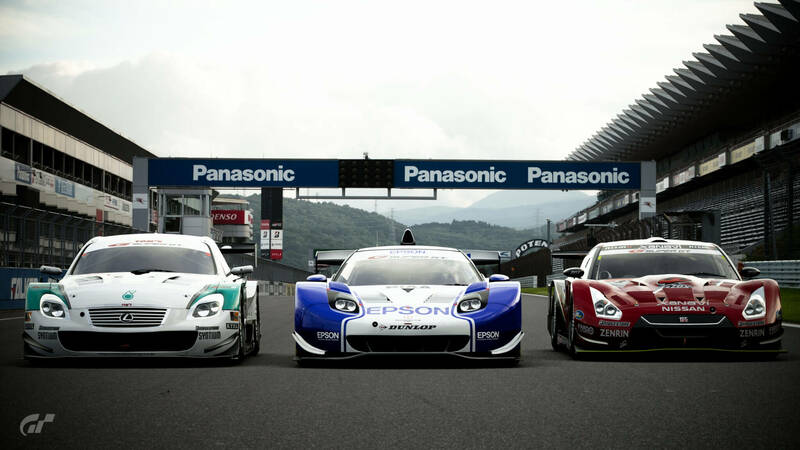 This article was published by Andrew Evans (@Famine) on November 30th, 2018 in the Gran Turismo Sport category. ProjectF, AgentBlackDog and Cuber Tom like this. I have a question: Do most players who enter FIA championship use wheel? AgentBlackDog, 05XR8 and Tou2istTrophy like this. That’s sad. There will only be one or two A+/A drivers per race with the rest being B/C/D. Boring racing ahead! KinLM, Pigems and TomBrady like this. USA + Canada = 16.8%, leaves 4.1% for South America. Australia + New Zealand 3.3%. Matchmaking is really going to suffer now outside Europe. Is PD expecting a massive influx of players from BF? On days with FIA races, sport mode is going to be barren in some regions. KinLM, Pigems, sundaydriving and 6 others like this. The Australia/Oceania and maybe South American races will surely be dead going off the amount of people usually on the leaderboards. Can't see how it'll be any fun with A to D and multiple SR drivers all matched together due to lack of players. Also don't be surprised when some use their extra attempts to punt their rivals off, luckily they'll likely do this before the real season starts and then the change will be scrapped. Shottah072, sundaydriving, QRacer_31 and 6 others like this. I was hoping there would be some changes for the casual side of Sport mode, but it looks like it’s all just FIA-related. Since I don’t do any of those, these changes mean nothing to me. George Jakob and Elitekilla29 like this. Presumably they are now going to have servers in 5 areas too. Not much point of an Aus/NZ area if servers are still in Japan. Sander 001, Tou2istTrophy and ASH32 like this. This is awful, may the player with the most time on his hands win! I might be done with GT Sport then to be honest. WhiteFlight1, banckzy, tofuhero and 5 others like this. Firstly, those who have more time to race are more likely to gain more points than those who are faster than them, but don't have much time on their hands. Secondly, more drivers will reach the DR limit. So when it comes to matchmaking in a couple of months time, there could be a situation where more than 20 drivers try to enter a lobby with 75k DR. It won't be a common instance, but it's still possible. Also, there will be some drivers who now believe they can use two accounts in FIA races, trying to take 1st and 2nd place in a championship. Instead of allowing somebody to race 5 times, why not just have a wildcard system, where the game allows you to race again once for a single season. I'm not saying this is the best solution, but there are surely better solutions than the one PD want to use. It seems PD just want as many drivers in the FIA to make it bigger, which is understandable, but haven't considered the negative impact it will have at all. WhiteFlight1, Krypton78, sundaydriving and 6 others like this. "That will all change in December, with players permitted to compete in all five races, if they wish." I can see it for those who get Disconnected at the beginning of the race or for those who have an entire lobby disconnect but not for everyone else. This game keeps getting farther and farther away from real racing because you definitely don't get multiple chances in real racing. It also allows for people to game the system even more than they already do. WhiteFlight1, bduddy, RaceFace85 and 3 others like this. Dividing an already small player base is never a good idea. Servers will be even more empty now and the level of competitiveness will decrease too. Having multiple chances on FIA is also a bad thing for most reasons, it will make the races have even more agressive driving when people know there's another free chance in case of a bad race. The only good thing about this is that the lucky aspect of getting a big or low points room is smaller cause you'll be able to join another slot. I don't think this system will be available for the official seasons. Connection quality will be better for the majority of players, IF they really add new servers for the new regions. That's pretty much the only good point imo. I would not have made these changes. WhiteFlight1, Shottah072, Krypton78 and 9 others like this. Cue some underhand tactics come 2nd/3rd race of the day. Krypton78 and ASH32 like this. As I see Romania in that list I really hope Romanians will be eligible in the 2019 season. Sport mode will be even more dead during weekdays. Let NA people play with Europeans already. WhiteFlight1, Pigems, GTWolverine and 5 others like this. TBH kind of sad. Not a big deal. But I liked the united Americas region. It was exciting. Now we're not even North America without Mexico. We're USA + snow. Very boring. Carzz, GTWolverine, dlshearon and 3 others like this. Chiefy17, WhiteFlight1, CapraKiwi and 1 other person like this. I haven't raced in Sport very often and that's because over half the times I did I was punted by someone from South America. There are definitely Canadian and Merican punters, but this sorting makes me happy. simsimsheree, GTWolverine, K1LLD0z3R and 1 other person like this. Tell me more why people get disconnected please? I’m dependent upon climate signal conditions which vary from yellow to full green. I’m on a mobile broadband connection and have never exp. this? NaketWookie, GTWolverine, JaimePL and 3 others like this. WhiteFlight1, PirovacBoy, ferreira and 1 other person like this. I really don't like this direction. The whole point of online competition is to bring the best of the best together. There are quite a few Central and South American drivers I won't see on the track now. Dezcom, sundaydriving, GTWolverine and 4 others like this. Just read it some more, it seems like this is happening to Dailies too. No more Brazilians! Yay! Take your punting and horrible connections somewhere else! Draggon, GTWolverine and Marcobzzcs like this. Splitting the areas up like this does not seem like a negative since it does have the potential to improve the online connections during races, but as @hellZfirE mentioned, it reduces the number of player pool and can lead to less filled girds. I understand that it may be impossible to get all countries represented and eligible for the FIA Champoinships and may not completely offset the proportion distribution, but it can help and feel that should be a focus. Also, I understand the intent of providing five opportunities to race in a points race, but feel it maybe this reduced to 2-3 chances instead. I was for it after I first read the changes, but now I am on the fence after much thought. How am I supposed to know. You should ask those who continue to post they got disconnected in the FIA forum or ask all the top competitors who got disconnected in the North American FIA Finals in Las Vegas. I have personally never been disconnected. I not like for this change, for Asian i'd prefer server move from Japan to Singapore so Oceania side still can with us on Asia server. Or thing like bring SEA together with Oceania side, okay this sound stupid but maybe will work for connection issue. Other thing I really want to ask: why India on EMEA side? isn't more near go to Asia rather than go to EMEA? ...they need to add an option where one can connect to closest server of his real location (obtained by IP). There are people using different country accounts because their country is not listed on PSN, and I know quite many people from my country using UK and mostly US accounts, and we are in east Europe. Neske714, sundaydriving, dlshearon and 1 other person like this.